Few other systems are as critical to overall health as the digestive system. According to Traditional Chinese Medicine (TCM), we are born with a certain amount of Qi or energy. This Qi is what allows us to “live” and can only be replenished through respiration (breathing), and digestion. This makes sense, since if we didn’t breath we would die, and if we didn’t eat, we would die. 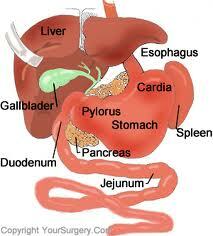 Digestion is governed by the stomach and the spleen. Together these organs process food and nutrients into the body constituents — Qi (energy), Moisture, and Blood, and distribute them to the tissues and organs of the body. TCM teaches that digestion forms the support for the immune system. Poor digestion, whether due to improper diet, poor eating practices, or lack of proper digestion, leads to a compromised immune system and dis-ease. So how is it that our society has become so nutritionally compromised? It began with the agricultural and industrial revolutions. The more processed, refined, and pasteurized we made our food, the less nutritional value it provided. 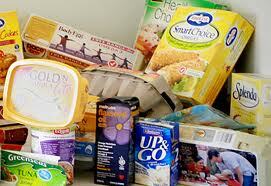 Chemicals and preservatives were added to foods in order to store them longer in boxes, bags, and cans. Couple this with the fact that foods are being grown on mineral deficient soils, it becomes obvious the foods we are consuming have little to no nutritional value, and in fact can create toxicities in our bodies. 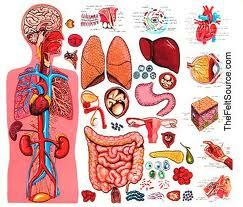 Our ancestors ate multiple 300 calorie, fresh raw meals, that consisted of 75 different foods, a day. The Standard American Diet (SAD) promotes 3 main meals (with well over 2000 calories apiece in some cases), little to no raw whole foods, very little diversity of food (most people eat the same 3-6 vegetable varieties all their life), and snacks filled with empty calories. Through incredible marketing by the food industry, people have become convinced that these processed products are not only acceptable, but essential in our busy lifestyles. No wonder children today suffer from so many diseases (obesity, diabetes, gastrointestinal disorders, and cancers). Animals are suffering too. 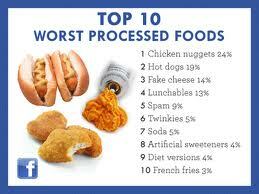 We are not only feeding our animals processed (nutritionally dead) foods, we are forcing them to eat unnatural diets. What horse, wolf, dog, or cat was ever observed grazing in corn fields! Why then is corn the number one ingredient listed on most pet foods? The pet answer is in the following blog! What can be done to improve digestion for people? Eat more whole, raw, organic foods. www.3910584.myforevergreen.org offers restoration support in the areas of Cardio, Immune, Cellular, Weight Management, Beauty and Skin Care, Natural Energy, Physical Fitness, and overall General Health, anchored by a world-class clean and/or organic whole food line and of course Marine Phytoplankton, the First food, the Best food, the Final say in health and wellness. Pulse bars have 26 raw whole food fruits, nuts, seeds, tubers and grains. I supplement with a green food product that is packed with the power of 34 nutrient-dense, RAW, organically grown greens, sprouts and vegetable juices. Between these 2 products alone I have increased my variety of foods (and they are organic and raw) to 60, all for a cost under $5.00/day. People find that when they eat the proper balance of protein, fat, and carbs, they eat less and are not hungry! Future blogs will address how to create an edible landscape and grow your own organic foods! Pingback: Maintaining a Raw Food Diet and Things to Think About - ...Want to Know More About Whole Food Benefits? - Whole Food Diets Here Is The Scoop! After examine a couple of of the blog posts on your website now, and I truly like your manner of blogging. I bookmarked it to my bookmark website listing and will be checking back soon. Pls take a look at my web page as nicely and let me know what you think. Thank you, it is nice to know someone appreciates the info! Tried to go to your website, had problems. Are you from Australia? You have a fishing site? Glad you like it, many more to come. Thanks, glad you like these. Many more to come! :-)) working on it, hope to convert the world to a healthier place in my lifetime. An important issue is getting legislation passed requiring labeling of genetically modified foods. Help us make this happen, get involved. Just posted a 3 part series on digestion you may like.